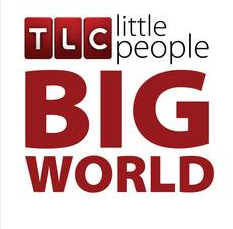 TLC today announced that fan-favorite Little People, Big World premieres its fifth season on Monday, October 16 at 8 & 8:30 PM. The series, which follows the Roloff family — comprised of both little and average-height people – will continue to share their heart-warming moments and real-life challenges. The season will pick up exploring how life is changing for the entire family as the kids grow up. Matt and Amy start to explore new territory as their oldest children are ready to start their own lives. They are left with different ideas on how to fill their time and have to figure out what will be their next chapter in life. Meanwhile, as Molly settles into high school, Zach’s poor grades and Jeremy’s lack of direction leaves their future undecided. The Roloffs continue to make an impact off the farm as Matt returns to Iraq to try to help the family that was introduced last season as they come to America so their children can get the medical help they need. Amy’s passion for sports lands her a new role as a Dwarf Athletic Association of America Board Member, where she takes on the planning of a major golf tournament fundraiser. Season Five is comprised of 40 new half-hour episodes. Little People, Big World will be celebrating its 200th episode in spring 2010.